If your puppy consumes healthy and nutritious food now, it will benefit him or her in the long run. And we all know that, don’t we? The kind of food that puppies receive till they turn four months old contributes to their rapid growth. So if you have a German Shepherd breed, then you should know all about the best food for German Shepherd puppy. There are many things to consider when choosing the best foods for German Shepherd puppy but do not hesitate, I'm here to help. 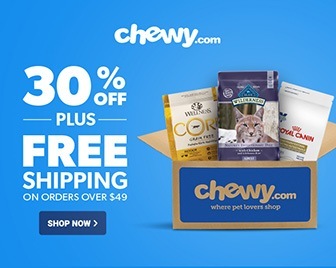 Also, if you are looking for the best food for Pomeranian, read my review in the bottom half of this article (CLICK HERE). In case you do not have the time and want to know the winner right away, yes, I have already found it for you. The lamb ingredient is a protein of high density. The kibbles are small enough to chew easily. The food makes the coat softer and improves physical energy. Suitable for Pomeranians with sensitive tummies. I'll list the top ten dog food recommendations for your little one inside this post. Because I know that choosing the right food can be a difficult task. But do you know what else is difficult? Making up for bad or unhealthy puppy nutrition in the later stages of life. 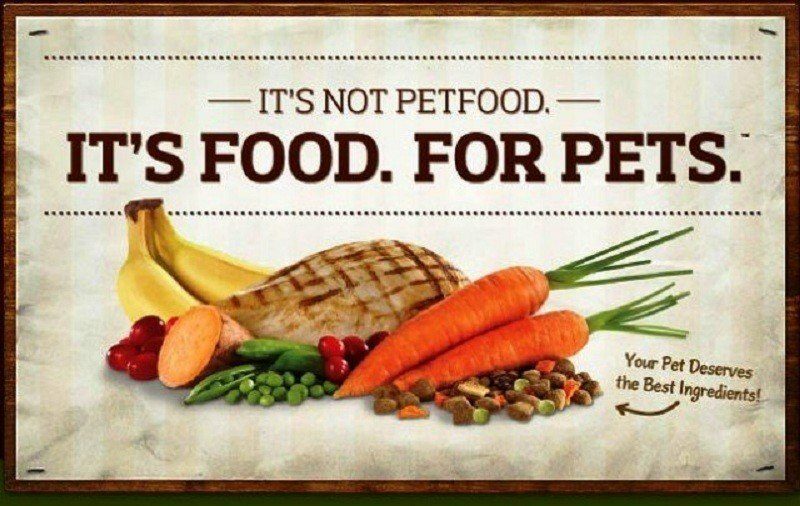 So please continue reading to buy the best food products for your puppy. What is the best food for my German Shepherd? Finding out the answer to this question can be hard work. And that’s mainly because your puppy’s health is at stake here. This is why I have done the job for you. 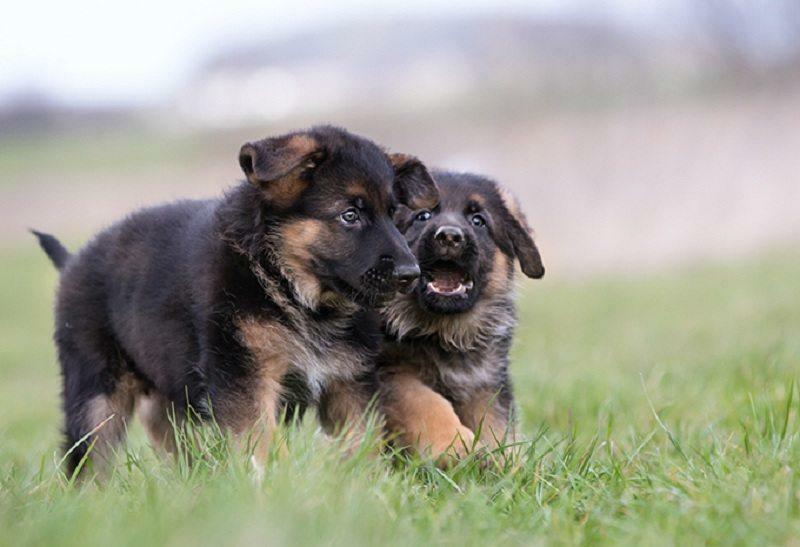 Below you’ll find the five best picks suitable for a German Shepherd puppy. Large breeds like German Shepherds have an extended growth cycle. To meet this demand, they require a regulated diet. This helps in steady growth. And so does the Wellness Complete Health Natural Dry Large Breed Puppy Food. It contains abundant healthy ingredients that promote body and brain development. For one, the food consists of an optimal phosphorous and calcium content. This helps in encouraging bone development. Also, the level of DocosahexaenoicAcid (DHA) is useful for brain and eye development. You will be glad to know that the dog food makes use of four different protein sources from animals. This provides your puppy with enough protein for lean muscle growth. Digestive health is also covered. Thanks to the addition of active probiotics. The only drawback with the puppy food is that it’s not suitable for dogs with a sensitive stomach. This might lead to your puppy pooping inconsistently. The blend of Omega fatty acids promotes cellular function. ​It improves the shine of the coat. Not suitable for sensitive stomach. As far as price and performance are concerned, you will find nothing better than this option here. The Taste of the Wild Grain-Free Dry Dog Food for Puppy contains Buffalo as the first ingredient. Plus, zero grain content. So combine these two qualities, and you get additional meat protein. This means your puppy will feel full even with a small intake. Now let’s talk about antioxidants. The food includes raspberries, blueberries, and tomatoes that act as powerful antioxidants. And we all know useful these are in strengthening the immune system of the body. The best part about the food is that it doesn’t cause any allergy symptoms. So you don’t need to think twice about changing your puppy’s diet to this food. But the slightly disappointing part is the gas that is often accompanied by the consumption of the food. The first ingredient, buffalo, tastes delicious. Plenty of vitamins to promote good health. The food might cause gas and diarrhea if it doesn’t agree with the puppy. Not suitable for weight gain. What is the best food for my German Shepherd puppy? The answer is right here. It’s the Solid Gold Holistic Dry Dog Food. And there are many reasons to support this claim. For one, the food contains blueberries, lentils, and carrots. And these have an excellent nutritional value. Puppies need food that strengthens their immune system for a healthier life. And for that, they require powerful antioxidants like Vitamins E and C. So that is what you get with the Solid Gold Holistic Dry Dog Food. Another beneficial element is eggs. We all know what eggs deliver, don’t we? They offer high-quality fat and protein. Plus, the natural probiotics present in the food helps in supporting the digestive health of your puppy. One thing you might notice is that the dog food tends to cause constipation. So to prevent this, you can manually crush the kibbles. And that’s the most irritating part, isn’t it? It might lead to constipation. The best part about the food is that it’s suitable for all stages of growth and development. The Wellness CORE Natural Grain Free Dry Dog Food has a high level of nutrition. Such a quality contributes to proper health maintenance. You will be relieved to know that it has zero soy, corn, and wheat content. This keeps allergies and their symptoms at bay. The first ingredient is deboned chicken. Along with that, you also get natural preservatives such as Vitamin C with plant extracts. The kibbles may be small, but they have a hard texture.This is the only thing that might let you down. They are not easy to chew, which can cause damage to your pup’s teeth in the long run. The ingredients make the puppy more energetic and playful. ​It improves the condition of the coat and prevents dryness. The kibbles are not soft enough to chew easily. The chances of increased bowel movements are high. The thing about Royal Canin is that it does an excellent job of recognizing the effects of every nutrient. This way the company manufactures breed-specific food to suit the dog’s lifestyle and growth needs. And the Royal Canin Breed Health Nutrition German Shepherd Puppy Dry Dog Food offers the same advantage. You will not have to stress about the texture, shape, and size of the kibbles. On top of that, the well-balanced nutrients go a long way in supporting the digestive health of the puppy. The phosphorous and calcium added to the food are perfect for healthy joint and bone development. So now you know why this is considered to be the best food for German Shepherd puppy. Also, the antioxidants included in the formula do a great job at strengthening the natural defenses of your pup. The only matter of concern is the addition of corn and fillers. If your dog is allergic to these components, which is often the case, then this might not be an ideal choice. The kibbles are small and easily chewable. Suitable for dogs with a sensitive digestive system. The corn content makes the skin dry and itchy. Pomeranians are a small breed, right? They don’t need to exercise a lot and can adapt very well to the size of an apartment. But when it comes to dietary needs, they do have particular quirks. So to address this issue, you should know what the best food for Pomeranian is. It’s the playful and fun-loving energy of the dog that we admire the most, don’t we? So feeding them the right kind of food is critical to their well-being. So let’s find out what food can Pomeranians eat, shall we? The breed faces plenty of health concerns. These include hypoglycemia, joint pain, and sensitive skin. But the good news is that such issues are easily manageable with the help of a correct diet. So you will be glad to know that the five best options listed below consist of wholesome ingredients, minerals, and vitamins. There’s nothing better than the Castor & Pollux Organix Grain Free Dry Dog Food when it comes to exploring organic options. The small breed, grain-free recipe consists of minerals, vitamins, vegetables, and meats. Such a healthy combination is just what your dog needs. 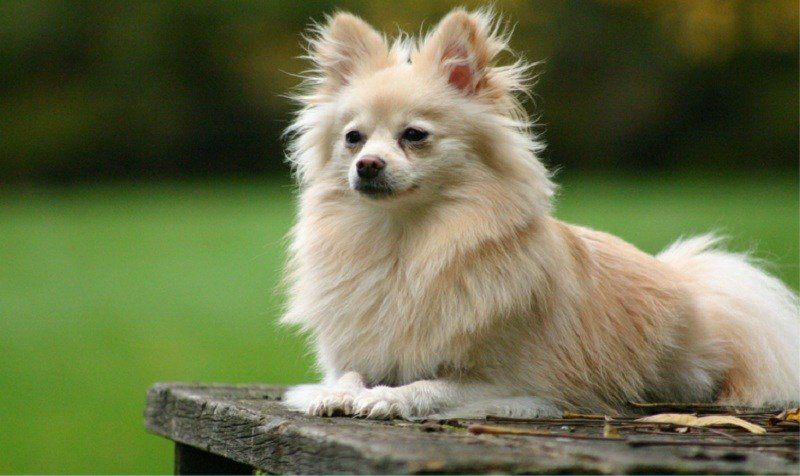 Pomeranians are an active and playful small breed. So they require abundant nutritious ingredients. And the Castor & Pollux Organix Grain Free Dry Dog Food contains all of that. It has Omega 3 and 6, which are responsible for keeping the coat and skin in good condition. Other beneficial elements are phosphorus and calcium for healthy teeth and bones. The only problem with this dog food is that it’s also packed with soybean meal. This may constitute as high protein, but it’s not usable protein. Zero contaminants, hence no allergic reactions. The organic ingredients in this food is safe and perfect for your Pomeranians. The best part about the Blue Buffalo Freedom Grain-Free Recipe is that it comes with glucosamine additions and Omega 3 with Omega 6. These essential additives contribute to supporting joints. They also improve coat as well as skin health. What food can Pomeranians eat? The answer is grain-free food. Do you know why? It’s because such a quality doesn’t cause any allergies. You will be glad to know that the Blue Buffalo Freedom Grain-Free Recipe is packed with lots of proteins and carbs. So your Pomeranian will always be an active dog. But you should watch out for foul odor. If the food smells terrible, then it’s better to have it returned or exchanged. This is one common complaint with this best food for Pomeranian. It might have a bad odor, which means expired or inedible food. Food with balanced nutritious ingredients goes a long way in fueling healthy development and growth in dogs, right? And the Wellness TruFood Baked Blends Natural Grain Free Dry Raw Dog Food contains whole foods. These are inspired from raw food recipes and provide abundant natural flavor. It’s packed with good quality protein such as fish and chicken. The presence of superfoods, antioxidants, and probiotics is also pretty beneficial for your dog’s health. The food consists of an optimal combination of fat and protein to boost metabolism in small breeds. The formula comprises of fresh chicken and rich antioxidant superfoods with fiber-equipped legumes. These are all nutritious, well-balanced ingredients. The only gripe with the food is that its kibbles are extremely hard. So this might cause some damage to your dog’s teeth in the long run. It contains glucosamine and fatty acids for better joint and coat health. The ingredients of the food are perfect for picky eaters. The kibbles are not soft enough. What food do Pomeranians like? 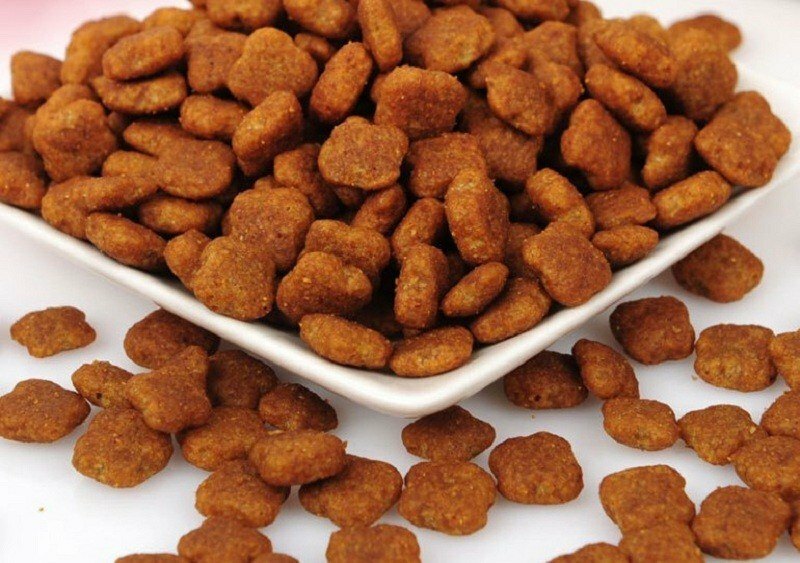 Dog food with easy to chew kibbles. This aids in digestion and doesn’t cause any damage to the teeth. The Solid Gold Holistic Senior Dog Food comes with fresh bison, grains, fats, as well as 20 superfoo﻿﻿ds. So there’s no need to worry about nutritious ingredients with this best food for Pomeranian. You will be glad to know that Solid Gold is considered to be the best manufacturer of small breed dog food. With this particular food, you get wholesome elements such as cranberries, broccoli, apples, dried eggs, brown rice, and ocean fish. The Solid Gold Holistic Senior Dog Food may be of excellent quality, but it doesn’t suit every Pomeranian. So it’s better to test it out before changing your dog’s diet. The dog food is ideal for weight loss. It contains plenty of vitamins, so you don’t need to buy them separately. The food might cause vomiting if it doesn’t agree with your dog. Pomeranian food habits have an enormous impact on their digestive system. So feeding them the Royal Canin Size Health Nutrition X-Small Adult Dry Dog Food might be the best decision ever. It’s because the food contains Brewer’s rice. This ingredient is a great fiber source, which improves digestion. The Royal Canin Size Health Nutrition X-Small Adult Dry Dog Food is also packed with tons of protein. This comes in the form of chicken meal, corn, and Brewer’s rice. Along with proteins, these ingredients also offer high carb content. So this is where your Pomeranian will get all his or her energy from. The only disappointing factor is that the first ingredient is a chicken meal. Real chicken would have been a better and much healthier option, don’t you think? The kibbles are tiny enough for small breeds to chew easily. The food contains DHA and EPA to improve coat and skin. Lack of a more valuable protein in the form of real chicken. Healthy, nutritious food should be a part of every German Shepherds’ diet, especially during puppyhood. This applies to human beings as well, doesn’t it? The kind of food that your baby consumes decides how healthy he or she will be throughout the entire life. So incorporating the correct nutrients during a puppy’s early growth stage ensures a long, healthy life. But how do you go about deciding what food to pick? Or when to feed and how much to feed? If you don’t know the correct answers to all these questions, then you’re in the right place. My useful guide helps in clearing up all your queries about feeding puppies. It ensures that your precious puppy receives the right amount of nutrition, irrespective of how young he or she is. Below I’ve listed all the essential factors you must take into consideration when selecting puppy food. It’s not necessary for you to purchase food specifically formulated for young puppies, but it’s highly advisable. And that’s because this kind of puppy food contains the right amount of carbs, minerals, fat, vitamins, and proteins. Puppy food also eliminates the chances of unwanted or unhealthy weight gain. Plus, they consist of smaller kibbles. Hence, easy to digest and chew. Many dog food manufacturing companies create food for specific breeds. And this applies for German Shepherd breed puppies too. But why do they do this? It’s because every breed has its allergies along with dietary needs. Since the German Shepherd breed are big dogs, they require puppy formulations made for the large breed. This kind of food contains additional calcium and protein that help in growing faster. The best food for German Shepherd breed puppy will not have low-quality ingredients along with fillers. This is something that cheap dog food brands do to provide the required amount of calories for puppies. So please ensure that you go through the ingredients before buying the bag of dog food. If your pup starts to scratch a lot or doesn’t eat the food, then take that as a sign. You can easily avoid dog food packed with common allergens because these are just fillers and not nutritious ingredients. A high meat and moisture content are only present in wet food. But dry food is considered to be more beneficial for puppies. And that’s because dry food is perfect for maintaining and developing dental health during your puppy’s early years. You should also know that just because the food is dry doesn’t mean it contains an insufficient fat or moisture content. Dry food also comes with a well-balanced amount of fat and meat protein. The latter is an essential ingredient as far as dog food is concerned, please remember that. Many pet owners feed their dogs either meat or vegetables and fruits. But this is a wrong approach. Dogs like German Shepherds might get used to a vegetarian diet, but they need their meat. They have sharp teeth for a reason, don’t they? And it’s not for mashing carrots as much as it is for tearing off meat bones. Your naughty pup might grab a loaf or piece of white bread now and then. But that doesn’t mean he or she needs such kind of processed food daily. Dogs don’t require starch or grains as much as humans. 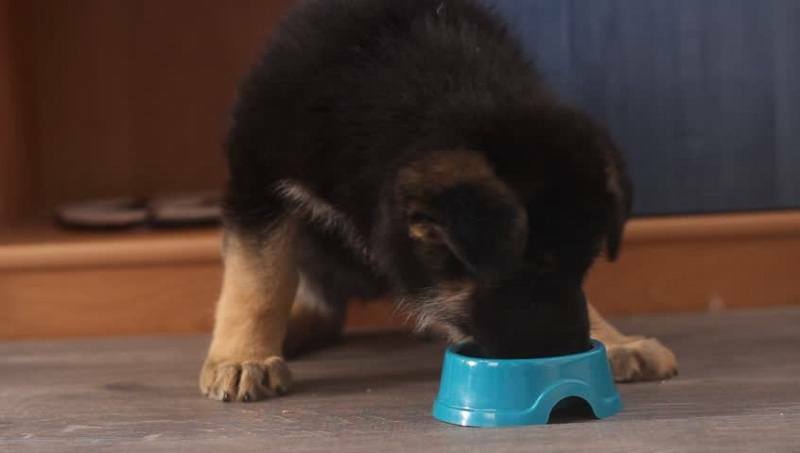 How Often and How Much Should you Feed a German Shepherd Puppy? There is NO right answer to such a question. Larger breeds like German Shepherds consume small meals more frequently than large, less frequent ones. Feeding for German Shepherd puppy at least 3 to 4 times in a day is suitable for proper growth and development. About half a cup each time should suffice as it also keeps your pup’s weight in check. The more you feed them, the more they will eat. So please make it a point not to overfeed your puppy. This might cause gastric issues in his or her stomach, leading to stomach distention or other serious health concerns. Nutritious food is vital when it comes to the well-being of your dog. Pomeranians require proper feeding to grow as well as maintain their health. You should make it a point to monitor the dietary plan. This way you don’t end up making any possible feeding mistakes. Let’s begin answering all those questions! How Often Should You Feed Your Pomeranian? It depends on the age of your dog. Puppies are fed fresh food, which is laid out for them at all times. Their blood sugar levels tend to drop pretty quickly, so eating often is necessary. And once they turn 3 months old, you can feed them three times a day. One year and above Pomeranians also require three meals on a daily basis. But depending on the weight of your dog, you can reduce this to 2 meals a day. And please remember that snacks don’t count. So you can always give them a treat or two along with the regular feedings. How Much Should You Feed Your Pomeranian? 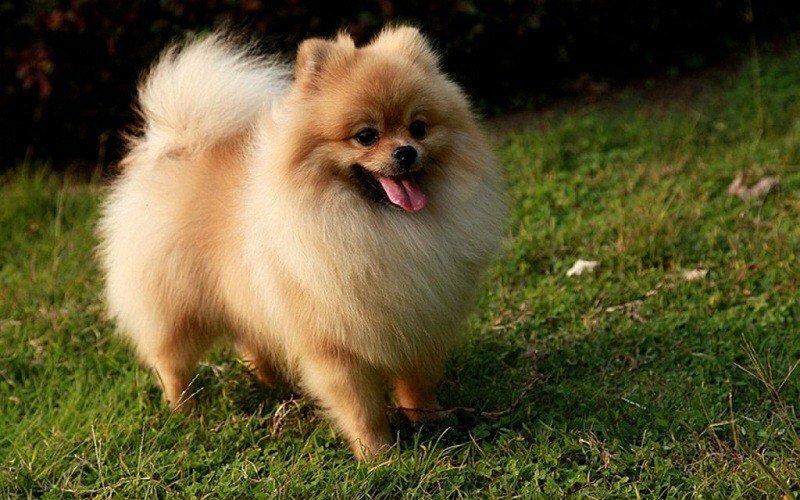 You should know that standard size Pomeranians (around 4 to 7 pounds) don’t eat too much food. So the 2-3 meals that they consume daily are small servings. Even when they’re snacking, make sure that the treat or anything else that you decide to feed is not big. So there’s no need to panic if you find your Pomeranian not consuming a lot of food. Because that’s normal. To make things simpler, get a medium-sized feeding bowl for the dog. So you won’t worry too much when your dog doesn’t finish the entire meal in the large bowl you recently bought. What are the Important Ingredients of the Pomeranian Food? We all know the importance of proteins, don’t we? But this should be good quality protein. Otherwise, the body doesn’t use this particular ingredient efficiently. The Pomeranian foods discussed in the article contain meat proteins in abundance. When it comes to protein sources, both meat meals and whole meats are beneficial. Whole meats include lamb, fish, beef, and chicken. They are also loaded with tons of water. And it’s because of water that whole meats are heavier in weight. Meat meals, on the other hand, are more concentrated. This means they don’t contain water. But the protein levels of both are the same. Any premium quality food brand for dogs will have meat meals listed as its first ingredient. So you know how beneficial they are in terms of dog health. Now let’s talk about fats; the basic necessity. But this should be from good, healthy sources. Fat-soluble vitamins are necessary for a dog’s diet. Other fat sources include chicken fat and fish oil. The latter consists of fatty acid, which helps in keeping the coat and skin healthy. What is the best food for my Pomeranian and my German Shepherd puppy? I hope you found the answer to this question. Let’s keep everything aside for a second and think about it logically. You need to feed your pup something that keeps the motor running, right? The breed is considered to be incredibly energetic and hyper-intelligent. So they need a regulated diet. And I can think of nothing better to provide that than the Solid Gold Holistic Wee Bit. This best food for German Shepherd puppy contains a formula perfect for both medium and large breeds. It’s formulated with several nutrients from rich superfoods. These include lentils, kelp, almond oil, broccoli, blueberries, cranberries, pumpkin, and carrots. Since lamb is one of the ingredients, the food has protein of high density. This makes up for a well regulated and balanced diet. You will also be relieved to know that the puppy food has zero soy, wheat, and corn content. Plus, it’s potato free, which means no more allergy symptoms. And there’s no need to stress about the coat health either. Thanks to the addition of monounsaturated, healthy fats like salmon, canola, and olive oil. Pomeranians may be small breed dogs, but they have tons of energy. So it’s important to keep them healthy at all times. Despite being so tiny, they require the intake of many calories per day to keep their energy level up to the mark. A healthy diet is essential not just so that they can continue running and hopping around. It also helps in improving skin, coat, joint, and overall health of the dog. So keeping this in mind, there’s nothing better than the Blue Buffalo Freedom Grain-Free Recipe for Dog. This is the best food for Pomeranian due to several reasons. It contains an excellent combination of carbohydrates and proteins to support high levels of energy and other special needs. The carbohydrates and proteins are of high quality. This makes them healthy and useful for the body. The presence of Omega 3 and Omega 6 in the food contributes to healthier skin and shinier coat. The kibbles are small enough for Pomeranians or other small breeds to chew easily. The shape is also perfect for promoting tartar removal. So this is the ultimate best food for German Shepherd puppy and Pomeranian on my list. And I’ve provided you with enough reasons to believe so, haven’t I? Here’s the answer to your question; what food can Pomeranians and German Shepherd puppy eat?